Welcome to the Colored section. 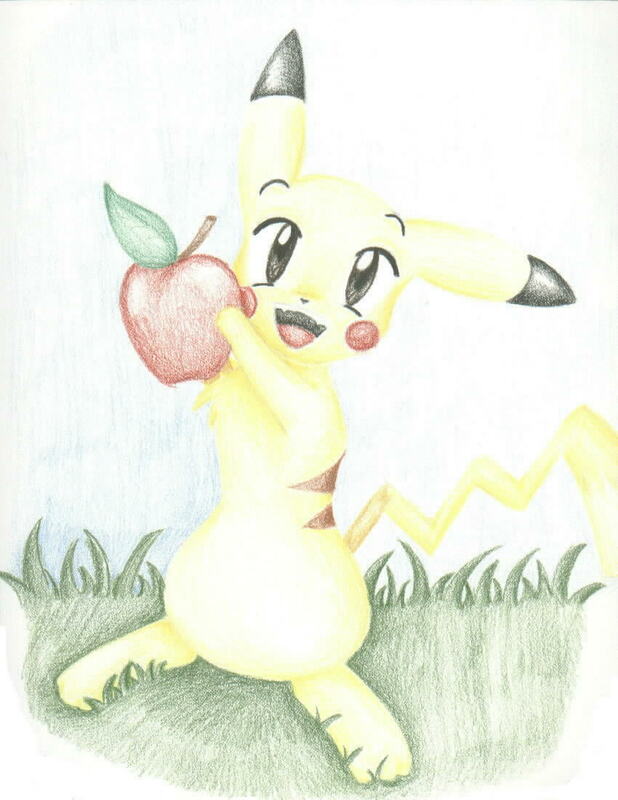 :3 This is where I keep pictures that were colored by me with any medium I could lay my hands on. Yaay. I haven't touched this page in ages, so only the updated pictures are really worth looking at. c_c I am ashamed of the rest, but I'll leave them up because I'm too lazy to take them down. All images contained within this page are copyright to me, so don't take them without permission. Permission can be obtained by emailing me or leaving a note in the guestbook. 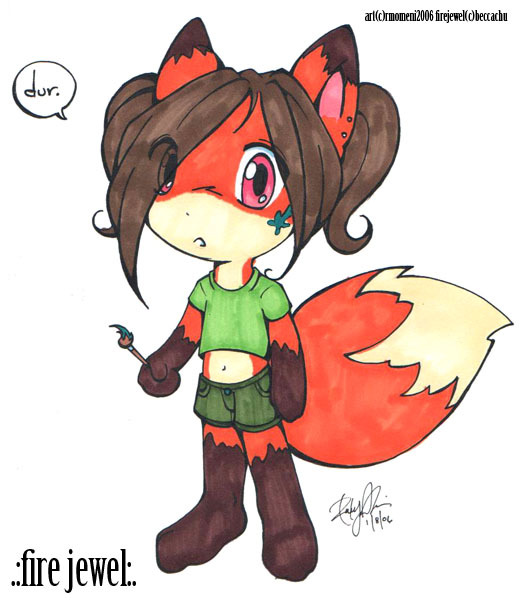 Little Fire Jewel ~ So adorable and little! Probably up to no good too. Galaxy Kitty ~ I don't know where the idea for this came from, but I do enjoy the final product. Innocent May ~ Of course, sometimes they look adorable and innocent too. Kyari ~ I have no idea what she's holding. A hat, maybe? Cloth? For what purpose, I have no idea. 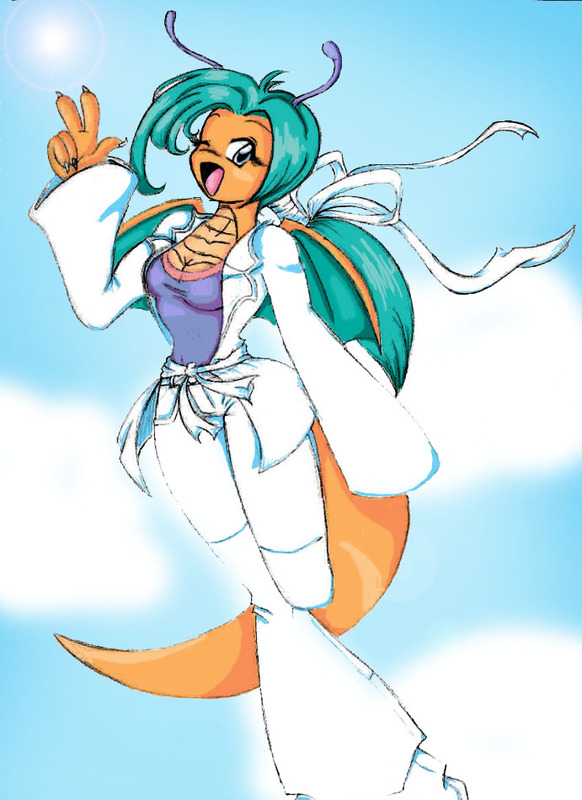 Siyaa's Smirk ~ She always has a smile on her face. 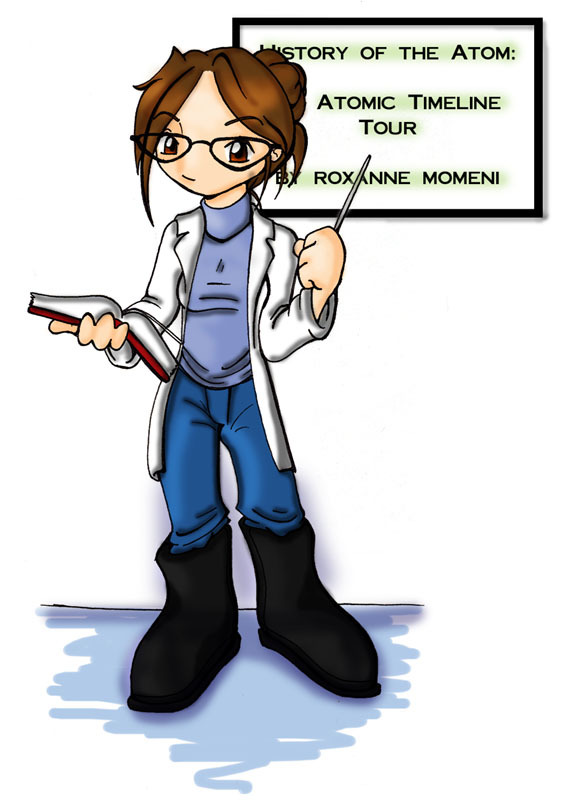 Chemistry Girl ~ A graphic I made for some project or other. I'm guessing for chemistry. 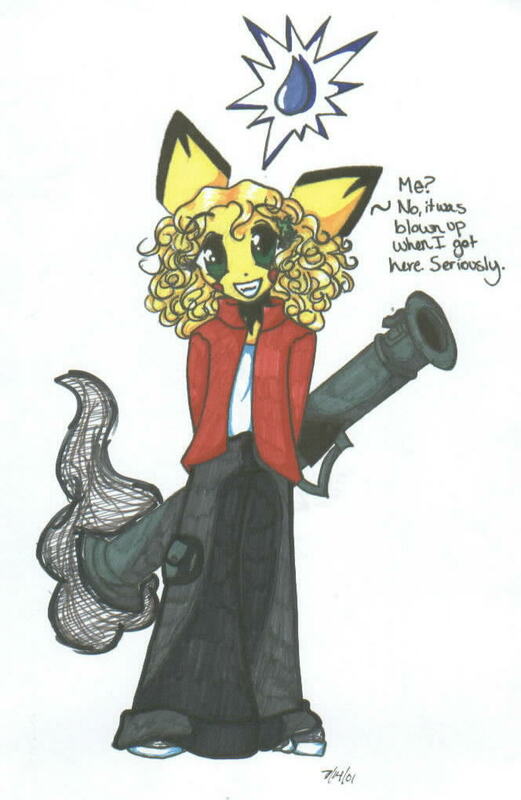 Master Thief ~ Ain't nothin' to it. 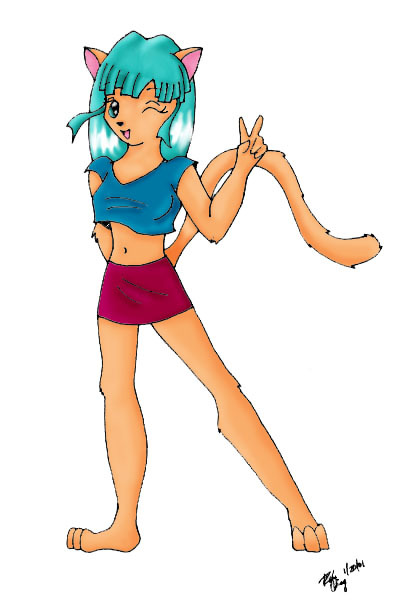 Cat Girl ~ No, it’s not like Catwoman o_o This is my anthropomorphic cat who hasn’t a name. Burnt ~ ^__^; Bwahaha, Kaeya lit poor Aio on fire. Aio is copyrighted to Arilla. 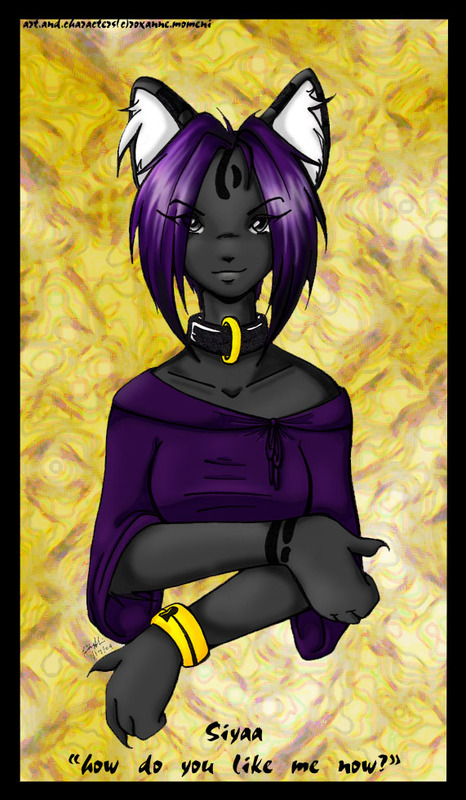 Siyaa ~ This is Siyaa, one of my Umbreon-morphs. O_o Don’t be fooled by her calm looking demeanor oo; Siyaa is as evil as they come. Flashy ~ Another remake. 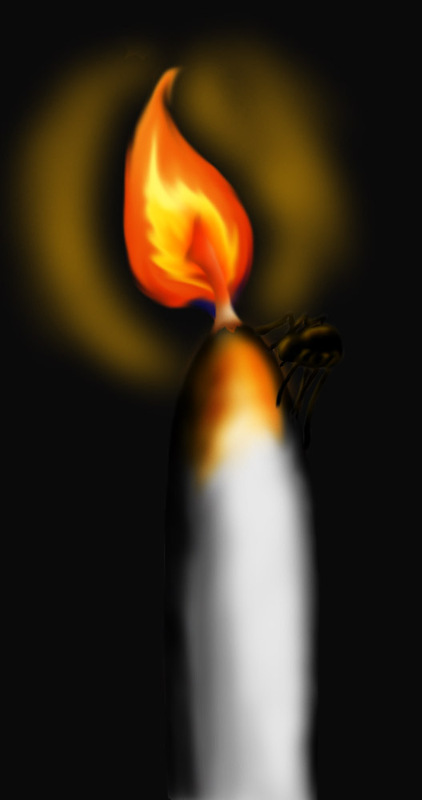 This one is remade from flashysm.jpg. I see a definite improvement. ^___^ Anyways, this is for FireFlash. Innocent. Honest. 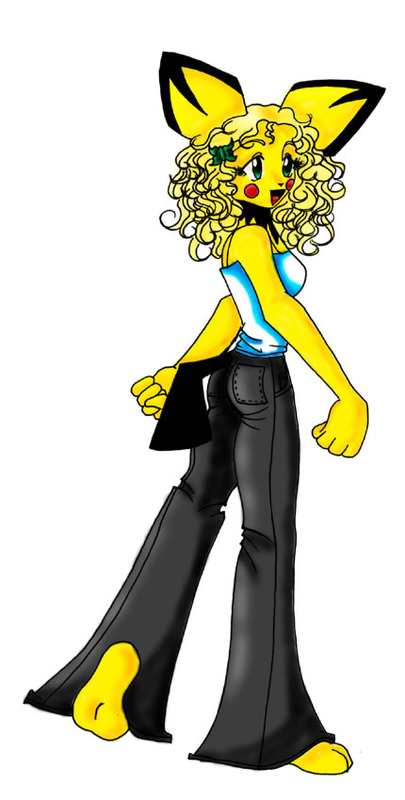 ~ This is Amy, the lovable blonde Pichu twin on the PokeMorph MUSH. ^_^ She's evil, but cute! 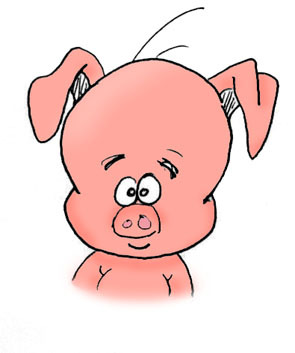 And only ten years old, so it was different drawing someone without all the curves. o_o Looks sorta strange that way. 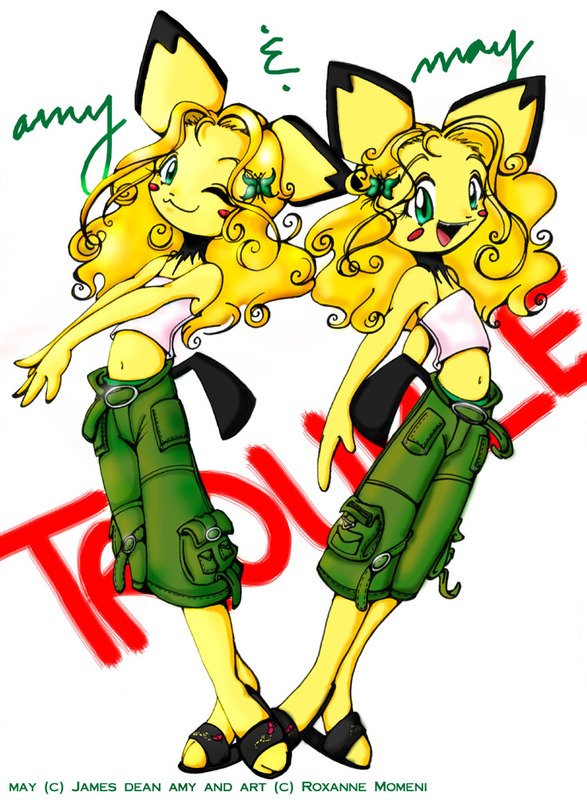 Older Amy ~ A picture of--you guessed it!--Amy! 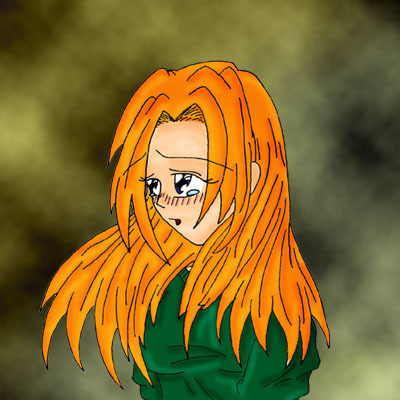 This is what she would look like at 16 years old. ^_^ Ahh, the curves are back. That's better. 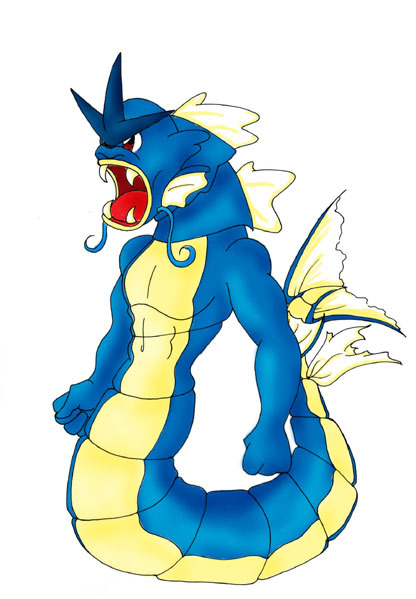 Sautee ~ Not Amy, but Sautee, the Gyarados 'Morph from PokeMorph.com. 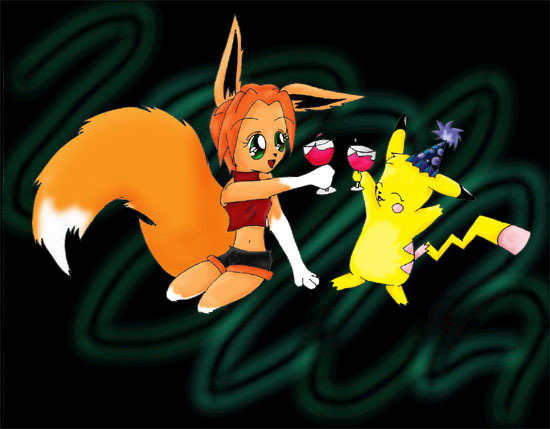 ^_^ Sautee is © to his player, and Pokemon are © to (insert company names here). 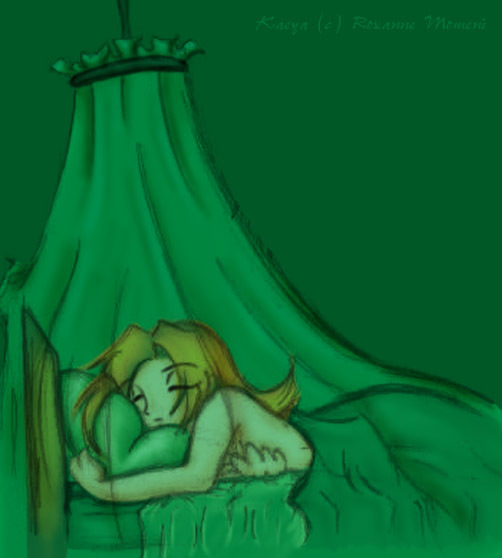 Arilla ~ Wahaha, fanart! 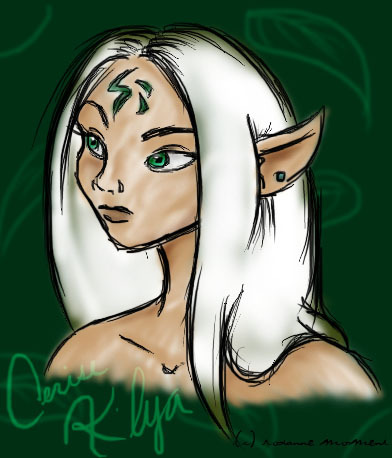 ^_^ I drew Arilla, much more to her human form though. 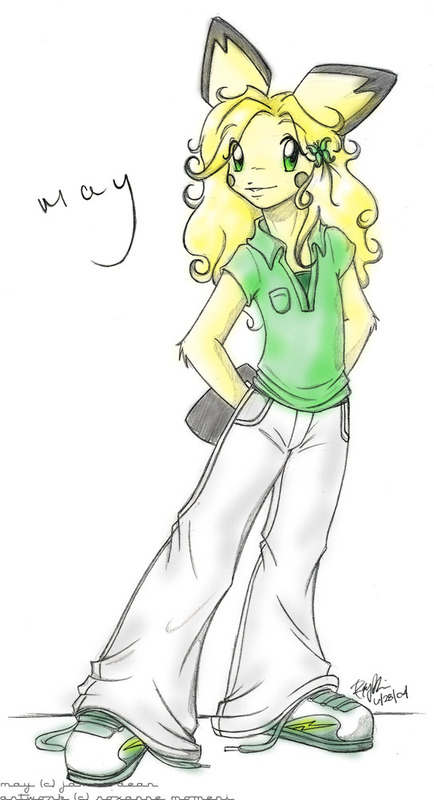 Craptacular color job, but oh wells o_o It was rushed, and my tablet is gay. Impressionism ~ I need to get my hands on some oils! 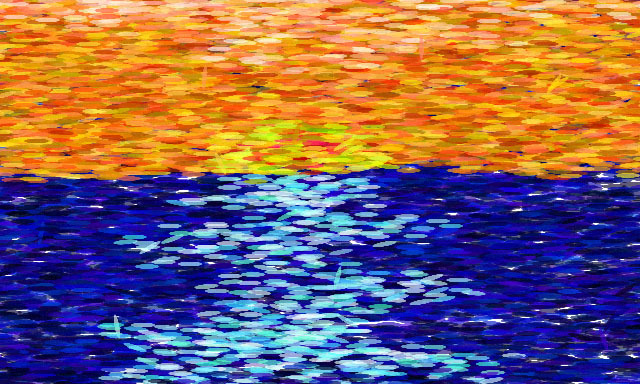 This was made in Art Dabbler, nifty lil prog ^_^ Anyway, five minutes impressionist sunset. 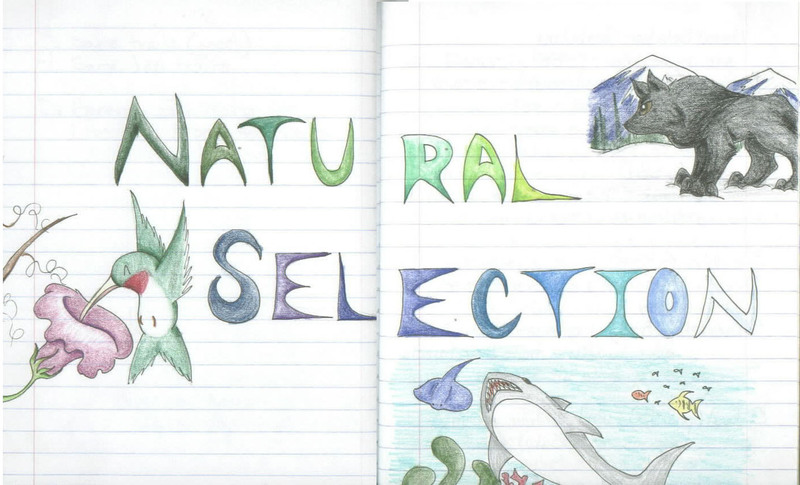 Natural Selection ~ Title page in my science notes for Natural Selection. o_O School makes us draw waaaaay too much. No problem, right? WRONG! 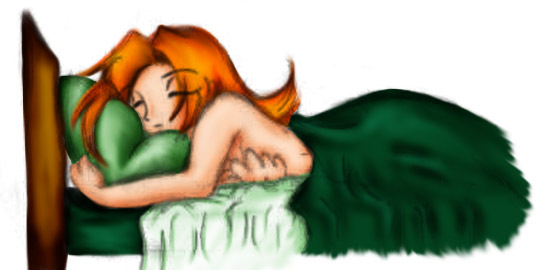 x_x I'm all drawed out. 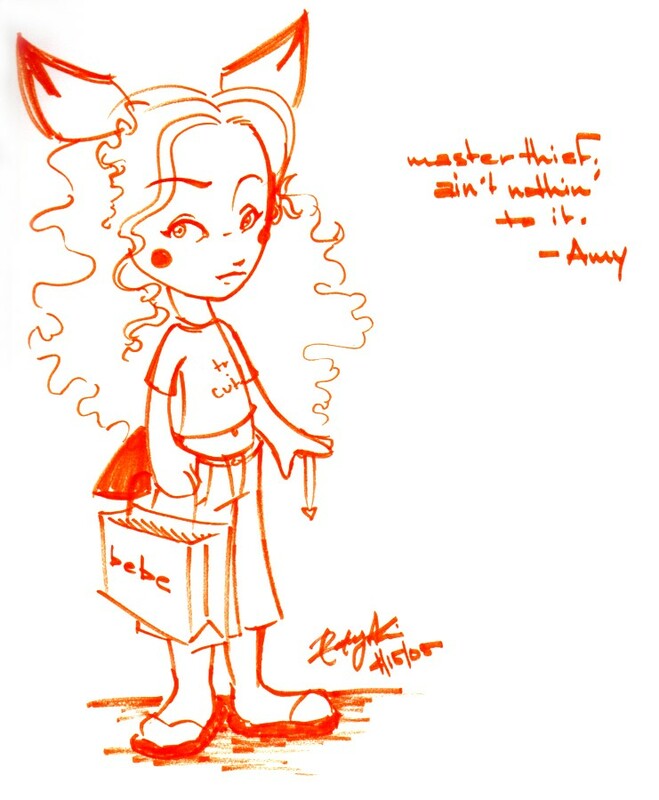 Sparkie ~ Amy's idol Raichu! 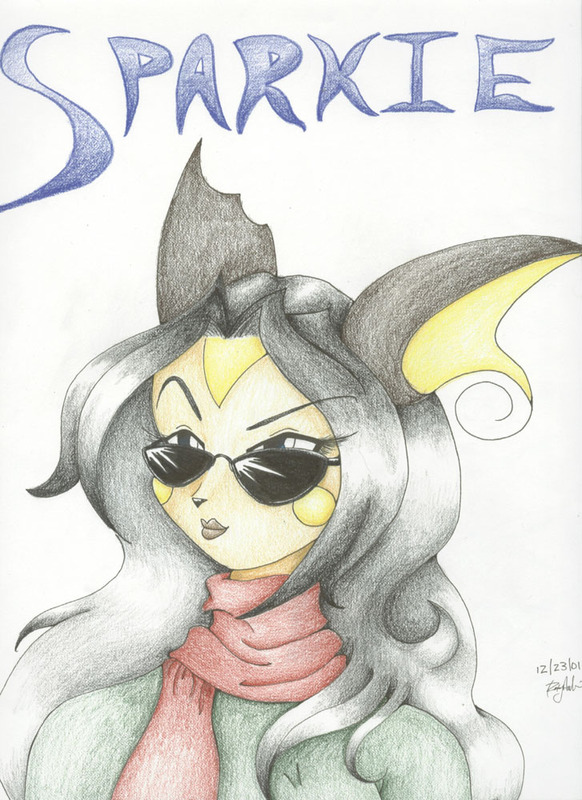 Sparkie is an awesome 'chu, so say nice things about her picture, or I'll hunt you down with a nuclear missle >_o Okay I stop. 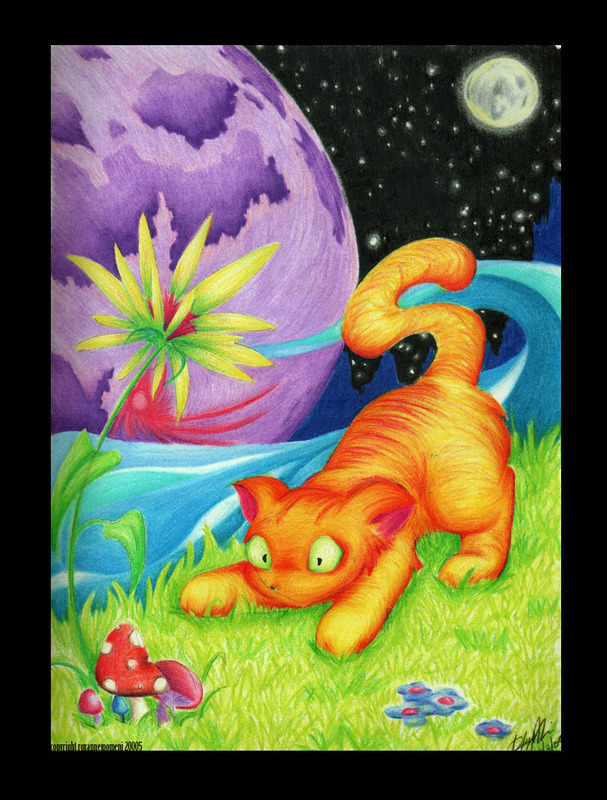 And I finished colorpenciling! Evil scanner ate the colors, but oh well. Pikachu ~ Your run of the mill Pikachu! Or is it? 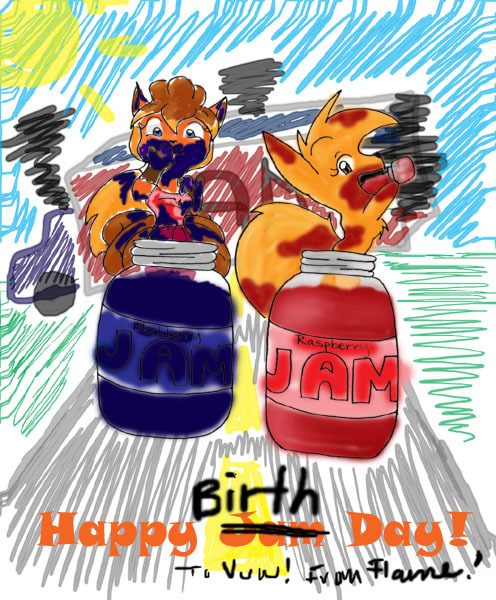 o_O Anyway, I drew this for Stellar's birthday, and she loved it! 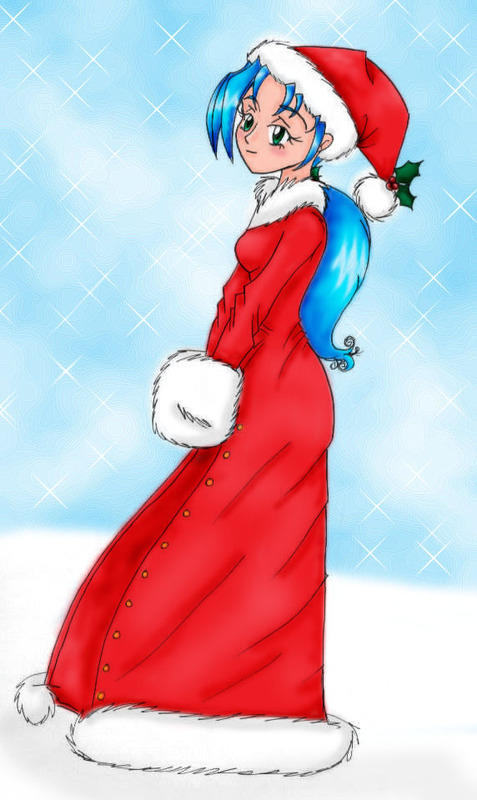 ^_^; I like it too. Westward ~ A movie poster for Westward the Women. It was extra credit and was more effort than it was worth! e.e Five bloody points. 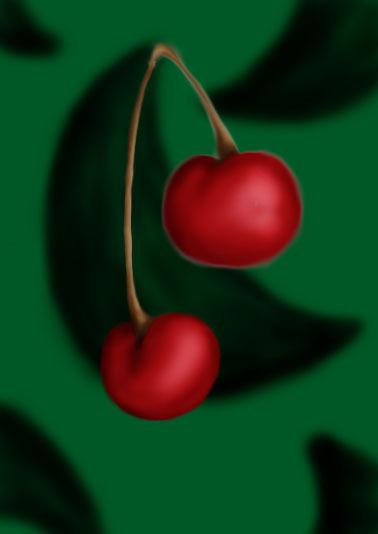 Cherries ~ Much fun with Photoshop after a stressful day. o_o Something calming about cherries, methinks. 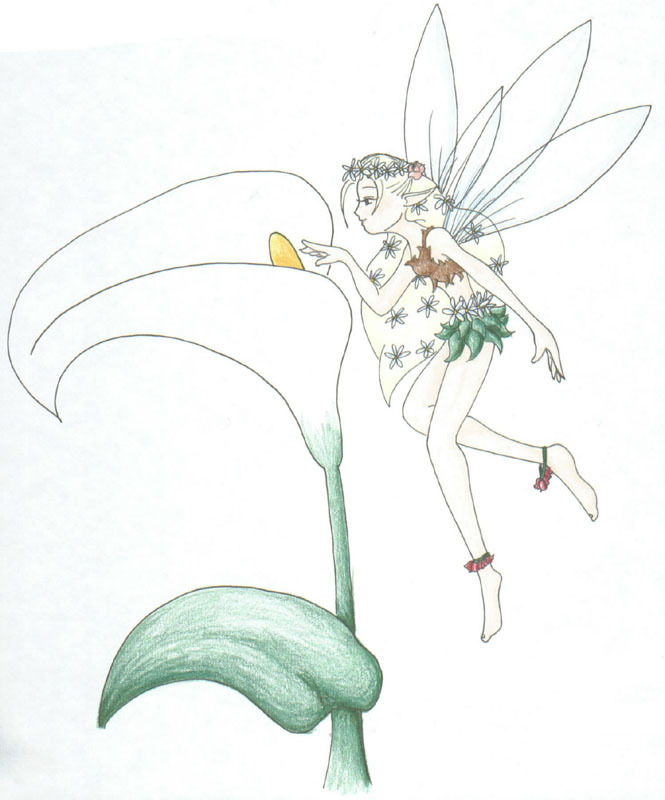 Flower Faerie ~ *snerks* Mother's Day present that was very underappreciated, just because I didn't finish in time >_> Excuse me for not being perfect. Freakshow ~ Harm, being very gothicly evil in her own way. 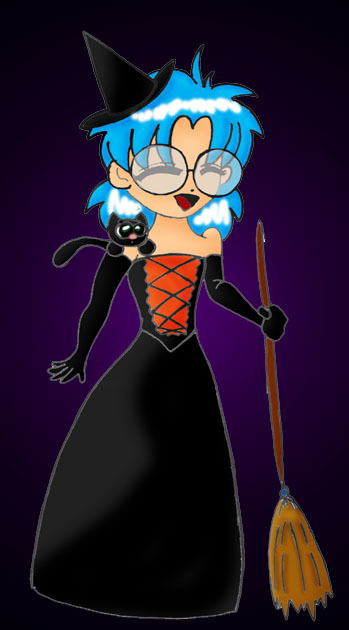 Note that I'm not a goth and can't really judge what one is o_o; It's just a character, leave me be! 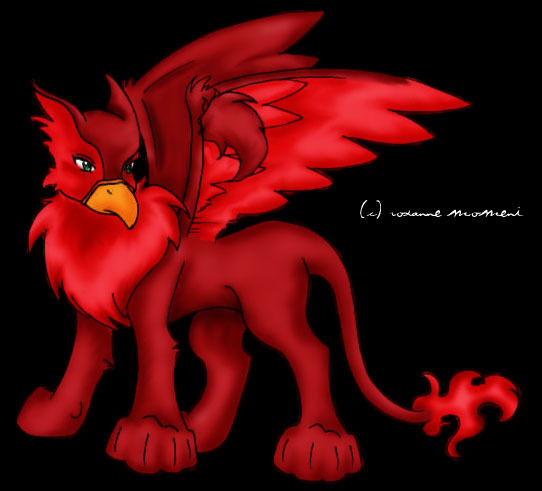 Neopet Eyrie ~ Bwahaha, I gave in and drew a Neopet, I'M SORRY! Boogie Woogie Wu ~ Drawn and colored to the theme of "Boogie Woogie Wu" by ICP. o_o Not too many people are fond of them, but I'm scary enough to like their music. 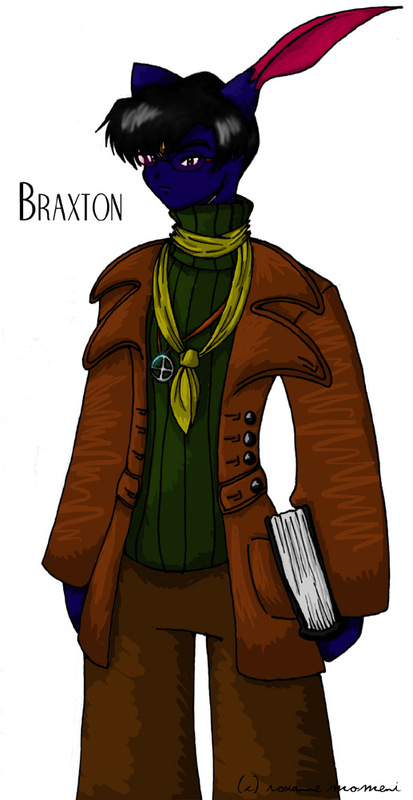 Whatever, here's Harmony with an axe, because chopping people up is fun. 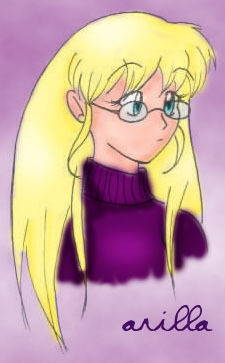 Cerise ~ Uh, I made an Allerian character o_O But it was short-lived. 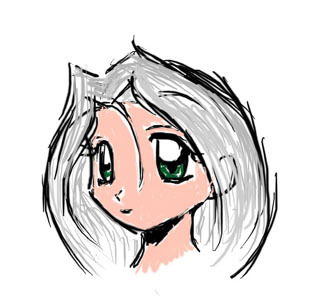 I got bored within the first two posts ^^; Still, here's my elfish girl in a sort of Disneyesque style. First Felice ~ AHAHA! OLD! 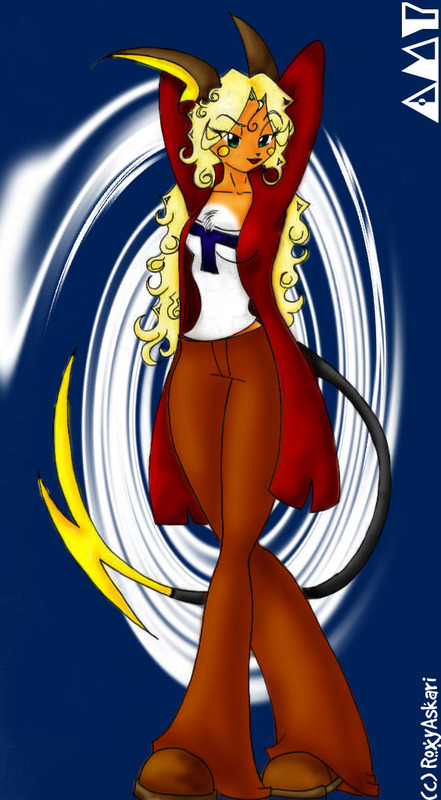 O_o The FIRST picture EVER of Felice ^__^; All colored. Hah, uh she IS a witch. And that's Miss Kitty on her shoulder! 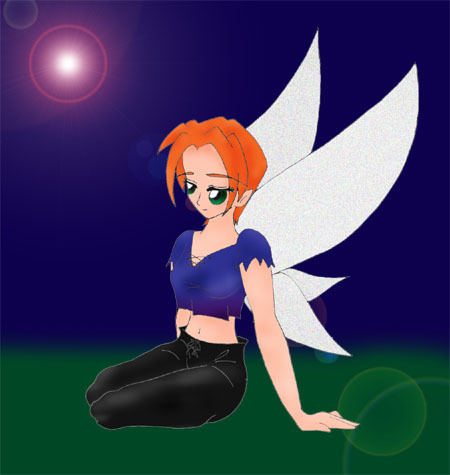 Fire Faerie ~ More old crap! 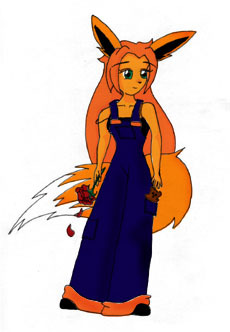 The Uber Fire Faerie from Neopets o.- More Neopets! Again! I'M SORRY! Dance With Me ~ >D I LOVE this picture *morbidly scary* Uh, yeah, well I found an awesome song called "Cheek to Cheek" by Ella Fitzgerald. It's circa the 40s I gather, and it ROCKS. And so I got to figuring, and I decided it would be the perfect song to murder someone by. Imagine it! 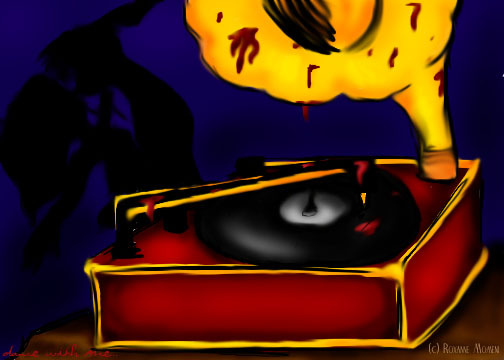 The song playing on the record player, and the camera zooms in on the gold plated machine as the shadows on the wall dance, and then a shower of blood assaults it as the innocent girl is stabbed to pieces. o.- I shouldn't be allowed to think. OD ~ Trippy physh, half colored. 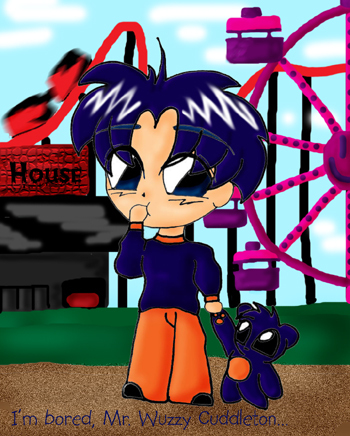 ^_^; Sorry, Battie!